Hi there. I have had two small transplants. One in January of 2007, and one in December of 2007. They were both small, 1600 and 1200. I’m now 23. I’ve been on Propecia since 18. Many of you may think that I didn’t need it in the first place. I wanted to fill in my hairline angles, and what’s done is done. But it looks fake. It is pluggy, spread out, and angled wrong. I’ve been combing it over in dumb hair styles for two years, but I am only 23, and don’t want to do this for decades to come. The last straw was the last time I was getting intimate with a girl, she was playing with my hair, and asked me if I had gotten a transplant. So, I want to fix it. One way would be to remove them, and put them farther back with my real hair. A second would be to increase the density with a more talented doctor, so it doesn’t look so pluggy. And a third would be to fill it in with BHT. I’ve attached some pictures. Please look at them, and recommend what the best action would be, and who with. So you know, the sections where my hair is thick is my real nontransplanted hair. I was barely balding to begin. The only transplanted hairs are the awkward ones in the front. Any before pics? And who did it? » Any before pics? And who did it? I have only a few before pics. The pixelation is all messed up. So you can’t get a good idea of how the hairline looked in terms of how it blended in naturally, only where it was. Also, the recession does not look as much when I cut out every part of the face below the eyebrows. But here they are. It was Bosley. Personally I think that your results look very good and natural. Similar to you, I had a strip surgery done with a surgeon in California, and I wasn’t happy with the results. I researched and decided to have a procedure done with Dr. Armani. It was the best decision of my life. I would definitely recommend that you go to Dr. Armani. In terms of coverage and density there is nobody better. The question remains, what is the best way to fix this? » The question remains, what is the best way to fix this? I would research on the forum some of the different clinics, choose a few of the doctors that you like the best and send in your photos. You can get an evaluation done for a repair job. Have grafts placed in between the ones you are not happy with to create a much more natural look, to add density and recreate your hairline. » » The question remains, what is the best way to fix this? » and recreate your hairline. So is this most likely going to be more grafts to thicken it, or repair of the existing grafts by moving them so they look more naturally placed? I am no expert but your hair looks very natural to me, what am I missing? » I am no expert but your hair looks very natural to me, what am I missing? Maybe it looks different in the pictures than in real life. Somebody who I never told about the transplant asked me if I had gotten one when they were looking through my hair. Yeah, that transplant result is not passable. The existing work is not horrible but there are just not anywhere near enough grafts to make the transplanted areas look convincing. The hair direction probably isn’t good but that’s hard to tell in pics. I would consider doing a combination of salvaging this transplant and scrapping it. Laser out some of the most offending grafts (because of either their locations or their directions), and transplant a bunch more new grafts to thicken the upper part of the transplanted area to look passable. The best thing you’ve got going for you is that the rest of your head appears damn thick. Some guys are dealing with NW#6 pattern loss by the time they’re 23. » but that’s hard to tell in pics. Yes, that is my feeling too. It is not awful, and 97% of people probably never notice. But it is just slightly off. So Cal, when you say laser out, you are indicating they can’t take out the bad ones and put them in more naturally? They must get rid of them? I was hoping I could reuse the ones that angled funny in my head. Being 23, I want to save as much for future work as I can. Oh yeah, I’m sure some of the existing badly-angled grafts could be taken out and reimplanted. It has been done on other guys in the past. But I think there is usually some amount of killing bad grafts with lasers in these cases too. That stuff is something that the HT doc who actually does the repairs on you will have to judge for himself. I imagine that there will be some re-use but I couldn’t guess at what percentage of the total it would be. And you can bet the survival rates on those grafts will be more hit-or-miss than fresh ones. Listen man no BS no beating around the bush plain and honestly…thats what transplants can do.Who told you that they are completely natural(dont answer propably shills, salesmen and doctors). It also dependes on hair characteristics how pluggy it will look…You can add density but there is no way the transplanted hair density will match the native hairs density so it will still look like a transplant.Also grafts pointing in weird directions is very often in transplants. My advice is dont do nothing and accept it.Some lazer out their grafts…but dont have another procedure you will never be happy with transplants if you dont like what you have now. I am sure you know allready but in case you dont you can apply some gel to have a wet look and then it wont be obvious that the hair are transplanted. » directions is very often in transplants. » transplants if you dont like what you have now. » have a wet look and then it wont be obvious that the hair are transplanted. What is the reason for doing lazer? If he takes the grafts out by lazer that area will be even more bald and more obvious he had HT! What he has now is thin but it doesn’t look that bad to me. » » directions is very often in transplants. » » transplants if you dont like what you have now. » now is thin but it doesn’t look that bad to me. I dont know how it works i ve heard of people lazering out their grafts. I thought he wanted to remove them all and return to the pre surgery state…am i wrong?How it will be more obvious that he had a transplant when he wont have grafts anymore??? » » but that’s hard to tell in pics. » » time they’re 23. » work as I can. I’ve been in the same situation for the last 8 years and believe me I know where you are coming from… Although it looks ok in the photos I know the reality. I have the same deal, same hair colour and characteristics. My full story of 7 FUE sessions to date is on other forums but when I read your post I decided to register. The problem we have my friend, as has already been correctly pointed out, is our white skin and dark/ coarse hair characteristics. Thick, non miniaturised donor hair will never match natural hairline hair, especially with our characteristics. 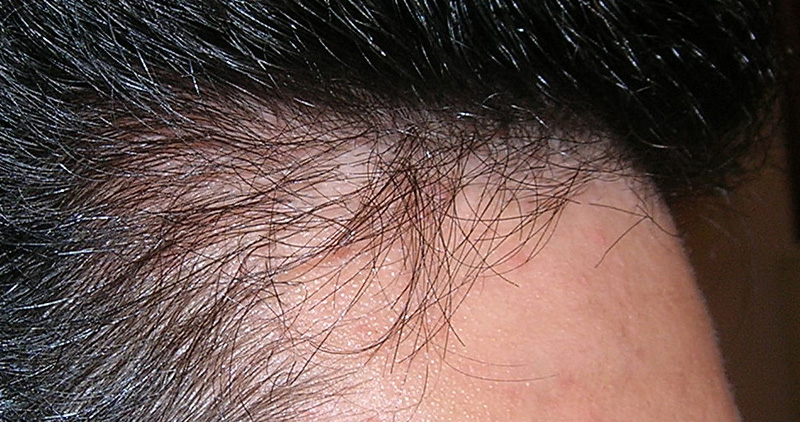 A God given hairline is soft, fine and and doesn’t suffer from the black dot “bulb” effect where the transplanted grafts enter the skin. I’ve tried for years to create a perfectly natural hairline and while in my opinion it is actually impossible, you can get close with a few tricks. Blonde, grey and light hair or those with dark skin, this doesn’t necessarily apply to. 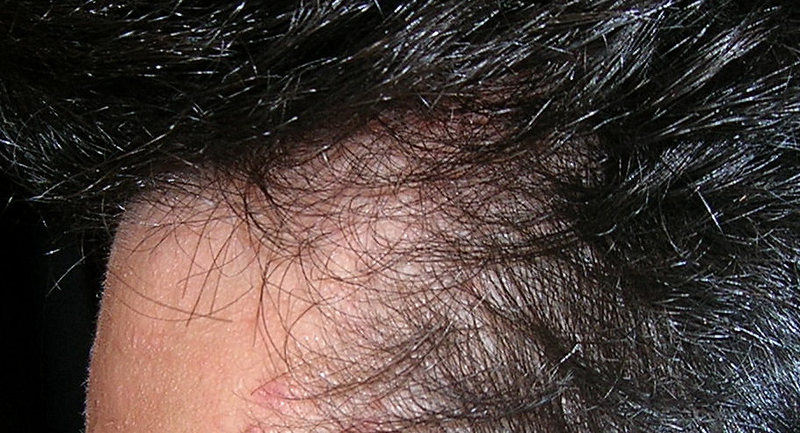 The minimal contrast between hair and skin makes transplants far more natural to the naked eye. Density is key. 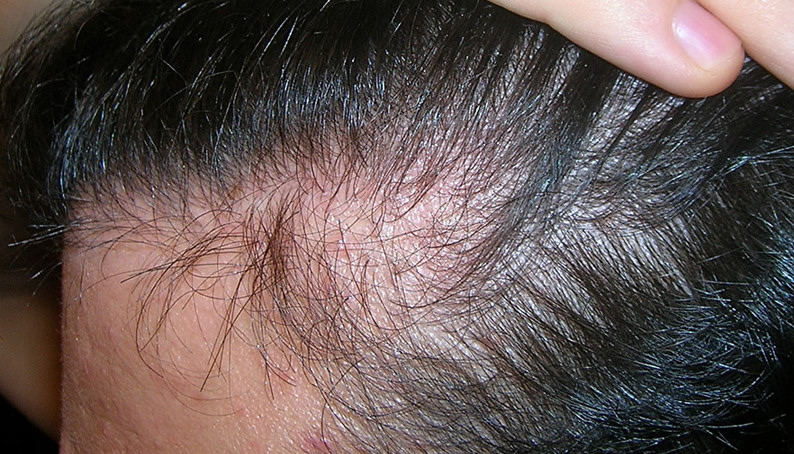 With dark hair any gaps will make the isolated grafts stand out a mile. They’ll just look wrong in the hairline if you can see light through or space around them. Problem is with good natural density like yours and mine you have to go very dense to make it work. I failed for years to create the density require for me to be satisfied that my hairline would look natural in all situations. I just couldn’t achieve it despite going to some of the best doctors. I believe the “illusion of density” doesn’t work with our hair characteristics. I think you actually need more density than your original natural density to hide the thicker shafts of the donor transplanted hair… and that just isn’t feasible with our limited supply. Hair angle. This has been the answer to the density issue for me. 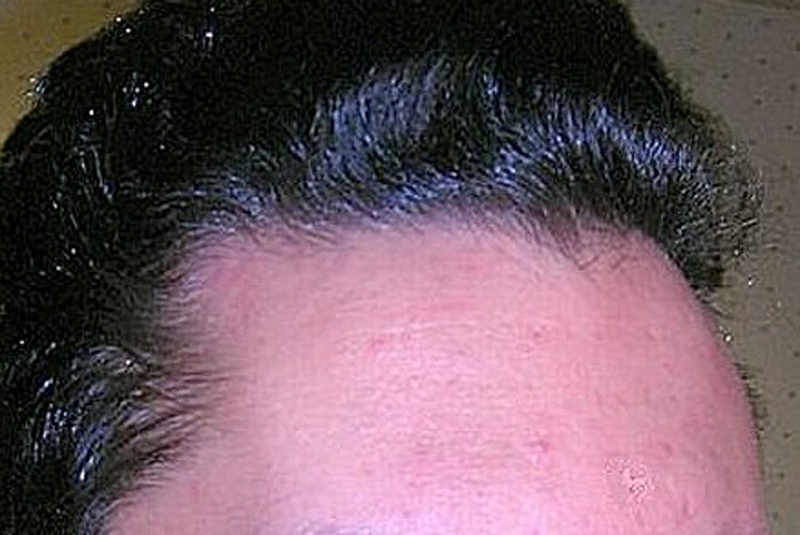 Central hairline: hair should beplanted so they point almost down the forehead or at least straight out from the centre. 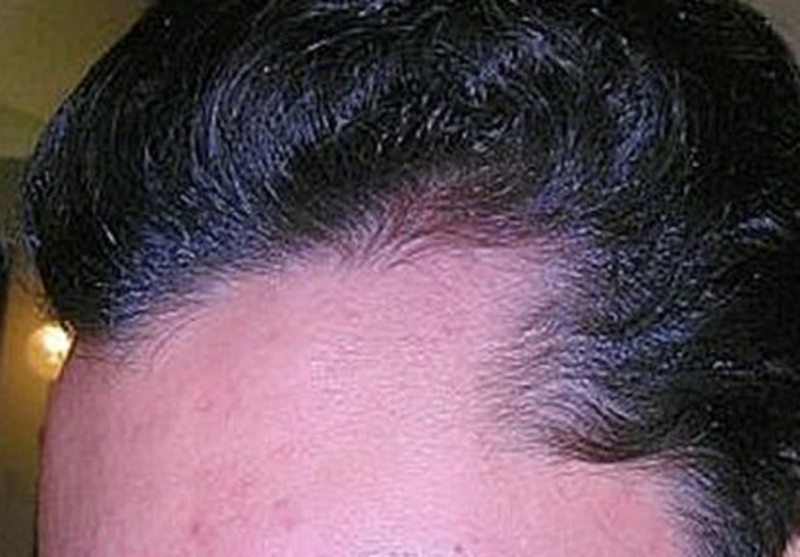 Then when they grow, gravity (or the natural fall of the hair) allows the shaft of the hair to hide the hair root. Temple angles: these again should be planted downwards or as in one my temples as a cowlick where the grafts are planted acute to the skin at an horizontal/ downward angle back and towards my temple points/ ears. This means the density can be less as they lie on top of one another. This results in allowing me to either wear my hair down in a fringe … or if I want to sweep it back, because the hairs are angled down, then each hair has to double back on itself, hiding the root and in the process, naturally adding more density. Problem is most doctors plant up and out along the hairline and this shows the root and shaft. Nape hair (and maybe body hair?). I’ve used softer nape hair but you need so much of the damn stuff to make a cosmetic difference. 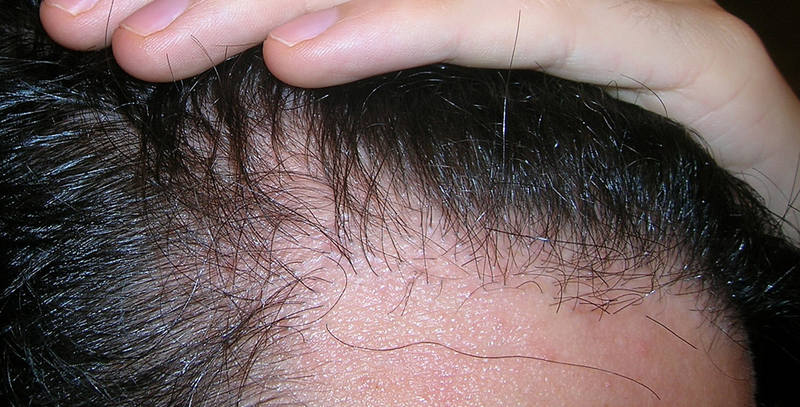 I have a few transplanted nape hairs that are so beautifully fine and soft … but they may as well not be there. Cosmetically they are too fine and delicate to be any use. I’d probably need two or three times as many as my back of the head donor hair. I can’t quite see how bad the situation is and how many are transplanted grafts that grew. From what I can tell you might be better of getting rid of them by laser or FUE and just sticking with your original hairline (which was good!). If you won’t be happy with that then it will require a a fair bit of effort and grafts and a smart surgeon to create a satisfactory result. » grafts enter the skin. I notice that quite often too, the black dot shows up at the exit point of the graft, it’s not exactly plugs but nonetheless quite obvious if you pay attention. I have seen that in Woods and Cole’s patients, incidentally both are fue doctors. “seen that in Woods and Cole’s patients” Hmm I have heard this complaint about many docs over the years this root effect. Well It really depends on the charecteristics of one’s hair as shanti has said. Happy to say I don’t have any of that. And from the patients I have seen of Woods and cole in person but they did not have very thick donor hair. And yes people who have had strip complain about it also.